Associate lecturer, Open University Brian Lucas reviews How to Survive Your Nursing or Midwifery Course. 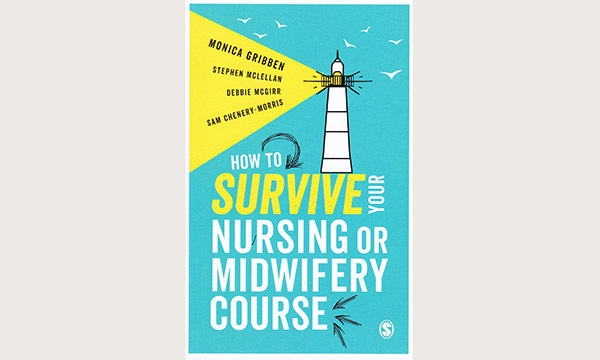 This book is designed to help nursing students and midwives juggle the competing demands of work, study and life. There is a good balance between looking at personal factors such as procrastination, study skills such as assignment writing, and professional issues such as evidence-based practice and reflective practice. There is also useful advice at the end of the book regarding the transition to registered practitioner, including how to complete an application form and prepare for an interview. It is a very practical book, with lots of hints and suggestions from the authors, who are experienced in supporting students. Activities within the chapters aid the application of material to the individual reader, such as identification of learning styles and identifying transferable skills. There are suggestions about further sources of help and further reading at the end of each chapter. The writing style is very engaging and it is an easy read. As the authors point out, it is not designed to be read from cover to cover in one sitting but is something that would be useful to dip into throughout the nursing student/midwife journey. Individual students would benefit from owning a copy but it would also a useful addition to a university or hospital library as a source of reference. Reviewed by Brian Lucas, associate lecturer, Open University.